Historically and culturally, the Arab countries have many features in common, in particular from the linguistic and tradition standpoints; however, it is in many respects highly inconsistent in terms of population, national income, prosperity, stability, infrastructure, literacy rate, and information resources. The estimated overall population of the Arab countries in 2010-2011 was just over 360 million with over half under 25 years of age. Almost a quarter of the Arab world live in the most populated country of the region, Egypt. 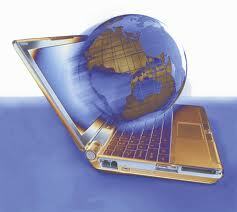 The number of Internet users in 2011 was estimated to be 86 million users (United Nations, 2011). Although distance education has a short history in the Arab world, for many, within the last ten years, the interest in distance education in the Arab world was enhanced dramatically as a result of the changes in society, culture, economy, employment, and information technology (Al-Harthi, 2005). This interest resulted in a remarkable increase in the distance education programs and degrees offered by many traditional and distance education universities in many Arab countries (Mohamed, 2005). Many efforts have been made in Egypt, Kuwait, Saudi Arabia and Lebanon to provide off-campus programs by traditional universities providing conventional and distance education simultaneously. Many universities have established open education units (e.g., the Open Learning Center at Cairo University in Egypt), awarding bachelor and master degrees through distance education mode in a variety of disciplines. However, with the increased public interest in distance education, new distance education universities have been established to deliver fully distance education programs using different types of media and technologies (e.g., printed materials, video tapes, and interactive multimedia CDs). The unique example in this regard is the Arab Open University (AOU), which was established in 1999, in cooperation with the British Open University (OU), with the main campus in Kuwait and 6 branches in Saudi Arabia, Egypt, Jordan, Lebanon, Bahrain, and Oman. Making use of modern information and communication technologies, AOU aimed to make higher education and continuing education accessible to every willing and capable Arab citizen (Arab Gulf Program For United Nations Development Organizations, 1999). In response to this development, distance education has become one of the important alternatives for those who could not attend or enrol in conventional universities. This rapid development in online applications and Internet access, in particular, has begun to create a new paradigm of distribution of distance education programs from all around the world to the Arab world learners in new, flexible and accessible ways. The interactive nature of the Internet has attracted distance students in the Arab world more than any other medium ever, and moved distance education away from correspondence mode to interactive and networking modes (Sadik, 2003). This strong demand was supported by research that compared educational outcomes of online and conventional programs. Many studies indicated that online distance education programs are equal to or better than conventional programs in terms of students’ satisfaction, flexibility and learning outcomes (Bernard et al., 2004; Machtmes & Asher, 2000; Phipps & Merisotis, 1999). However, Raj and Al-Alawneh (2010) indicated that there is a common belief in the society that on-campus degrees are better than off-campus degrees for many reasons, such as residency in the university, real face-to-face experience, interaction among students, interactions between students and instructors, in addition to the accessible resources that could be in the learners’ hands any time. Therefore, Arab employers, families and students may feel reluctant to accept distance education as a formal alternative to conventional face-to-face education. Therefore, many students may enrol in, and often withdraw from, distance education universities. Al-Harthi (2005) believes that students’ cultural backgrounds and perceptions toward distance education degrees have a high effect on their willingness and ability to participate in distance education programs and their concerns can be traced back to the issue of acceptability of online degree as an employment credential. Research by Carnevale (2002) and Sikora (2003) has raised the question of whether the society regards online distance education degrees as valuable as degrees earned in a conventional way. Sikora indicated that those who hold online degrees are not judged as having qualifications that are equal to those of graduates who earn their degrees in a face-to-face program when seeking employment. The concept of acceptability has been studied in very few online learning and distance education research studies. In those studies, respondents were asked to choose between candidates whose qualifications differed only in terms of learning mode , that is, whether they earned their credits online or in a traditional residential program. DeFleur and Adams (2004), for example, indicated that despite the rapid growth in online education, some educators and employers cast doubt on the quality of online courses and whether the learning experience and outcomes that take place over the Internet are equal to those occurring in traditional academic settings. Adams and DeFleur (2010), Adams and DeFleur (2006), and DeFleur and Adams (2004) found that there are some problems associated with the acceptability of online degrees when students apply to traditional postgraduate programs or faculty position in a traditional university. Adams, DeFleur and Heald (2007) also found that degrees earned online are “by no means as acceptable as traditional degrees, and that they can be regarded as suspect when used as a credential in a hiring situation” (p.43). They suggested that students should select their online universities with great care to increase their chances of being hired. In addition, Carnevale (2005, 2007) reviewed many empirical studies in the perceptions of employers toward online degrees and found that potential employers gave many reasons for not accepting online degree credentials. These reasons are: lack of rigor, lack of face-to-face interactions, academic dishonesty, reputation of the degree-granting institution, and appropriate level and type of accreditation.